Well, ya don't see *this* often..
.. which I’m okay with. 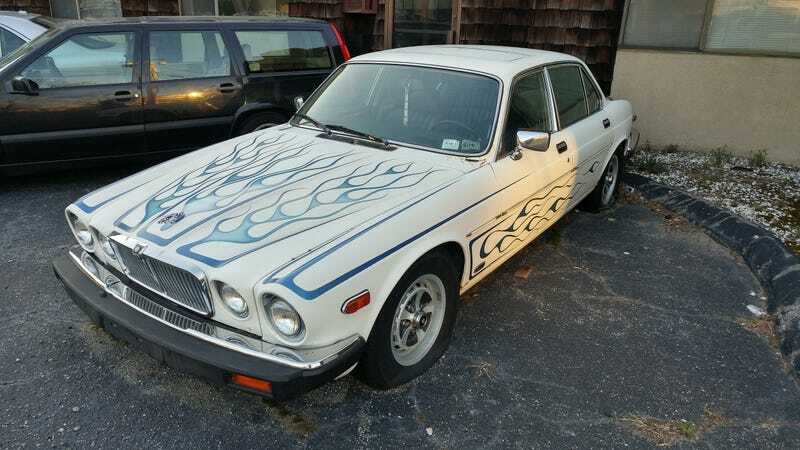 Found in some low-rent dealer lot - a Series 3 XJ6 rockin’ blue flames. Whatever they’re asking for this fine automobile cannot be enough.